Cleaners London is an experienced cleaning company, which has been in the window cleaning business in London for many years. We are specialised in providing high-quality window cleaning services for residential and commercial properties. Our team of cleaning experts will take care of your windows and make them cleaner than ever. Don’t hesitate to contact us any day of the week, including on bank holidays and weekends. Very happy with the job your cleaner done, all windows at home were perfectly cleaned. It can be dangerous to clean windows of large multiple-storey buildings, unless you have them cleaned by real experts. Our company is a well-known provider of excellent window cleaning services in London. We have been serving a large number of customers, who rely on our help and use our services regularly. We offer professional window cleaning of large and small buildings, homes and offices at prices that are easy to afford. For commercial cleaning quotes please call 020 3475 8344 for a FREE estimate. Book Your Window Cleaners Now! For any type of domestic or commercial window cleaning, contact us and allow our cleaning experts to take care of it. 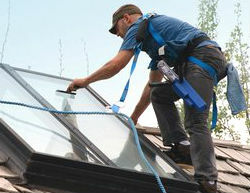 We are a reliable provider of high-quality window cleaning services. We are experienced and devoted to our work. That’s how we always manage to achieve incredible results, which meet the highest requirements of our customers.